Tens of thousands of children are at risk of starving to death in Nigeria unless the world takes action, the United Nations children’s agency has warned. 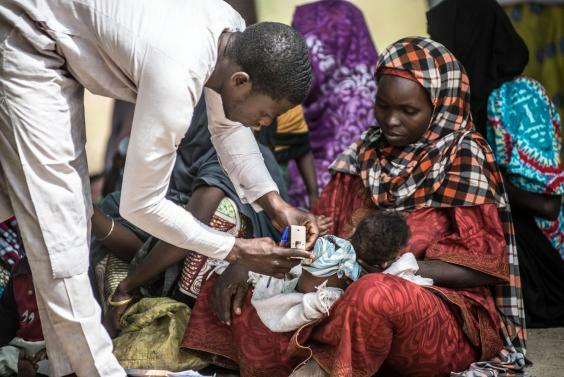 Labelling it the world’s most under-funded humanitarian crisis, Unicef said the terrorist insurgency of Boko Haram has left 400,000 children severely malnourished and millions more in desperate need of humanitarian assistance after they fled their homes. The agency warned that 90,000 children could die of Severe Acute Malnutrition in the coming year unless the international community takes swift action. That amounts to more than 240 child deaths each day. Doune Porter, Unicef’s chief of communications in the west African nation, told The Independent that despite attempts to raise global awareness of the crisis in November, the number of children at risk of starving to death has increased further. 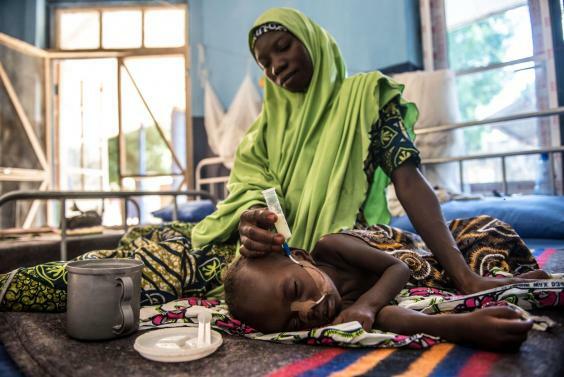 Forecasting a “tragedy” if the rest of the world continues to turn its back, she said: “Three months ago we estimated that over the year in the three states most effected by conflict – Borno Yobe and Adamawa — 400,000 would suffer from Severe Acute Malnutrition. This projection has now increased to 450,000. “We continue to be hampered by a lack of funds and by access security in the region. There are a lot of children who we can’t reach because of insecurity and attacks in certain areas. The conflict in North-eastern Nigeria has led 1.7 million people to flee their homes to live in other communities or refugee camps within Nigeria as well as neighbouring Chad, Niger and Cameroon. Unable now to generate an income to support their families, trade has been limited and food prices have escalated as a result. Displaced people in the worst-affected areas of Borno, Yobe and Adamawa have been unable to farm and are now suffering from a severe food crisis. In total, 15 million people have been affected, with seven million people in need of urgent life-saving assistance — more than half of them children. 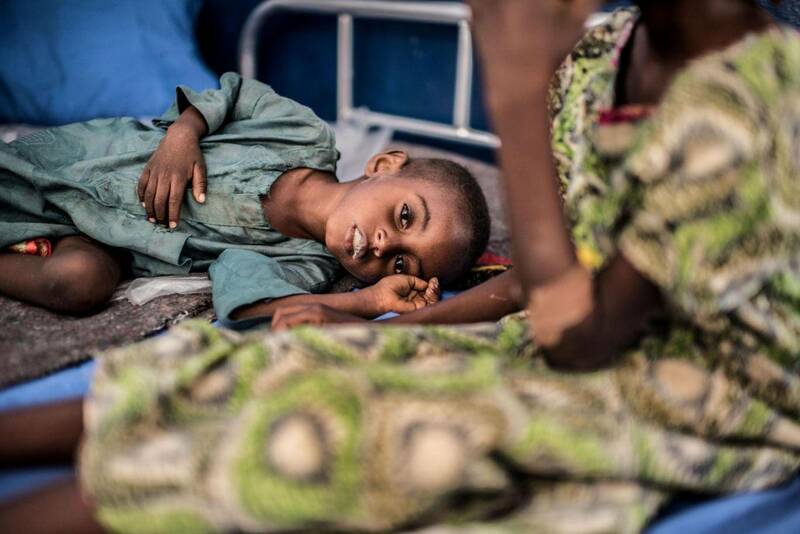 “Acute malnutrition is an extremely dangerous condition for children. It’s clinging to life. It makes them nine times more likely to die from an ordinary illness such as pneumonia and diarrhea,” said Ms Porter. “In this crisis there are children starving to death. And we can’t reach these children if we don’t have the funding. So few people know about the depth of this crisis. Mike Sunderland, Save the Children’s West and Central Africa’s media manager, has been working with malnourished children in Nigeria and warned that as well as the children being treated, there are thousands more that haven’t yet been reached. Mr Sunderland told The Independent: “We’re seeing a lot of widespread malnutrition of children, children with missing parents. Around a million children have been moved from their homes. This is a widespread humanitarian crisis. He added: “For many children, it might be the second or third time they’ve fought malnutrition, so their immune systems are already severely weakened by malnutrition. They’re entering a cycle of continuous illness and threat of death. Boko Haram has been on a violent campaign since 2009 to impose their version of Islamic law in Africa’s most populous country, and has so far killed more than 20,000 people and forced an estimated 2.6 million from their homes. The conflict has been characterised by systematic, widespread violation of children’s rights, with abductions and sexual abuse and the forced recruitment into militias commonplace. As the Nigerian army continues its advance into insurgent strongholds in areas bordering Niger, Chad and Cameroon, many children have — as well suffering a shortage of food — witnessed atrocities first-hand, or have themselves been subject to attacks. When In Need Medical Mission To Africa – We Need Your Help!